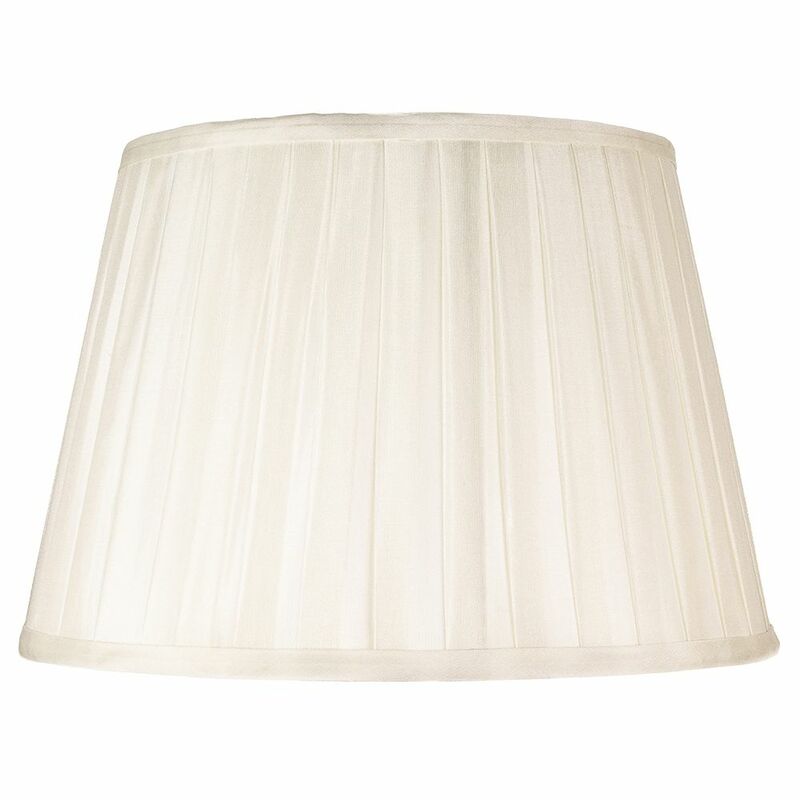 Traditional Classic Cream Faux Silk Pleated Inner Lined Lamp Shade - 14"
Traditionally classic design lamp shade with pleated effect outer. 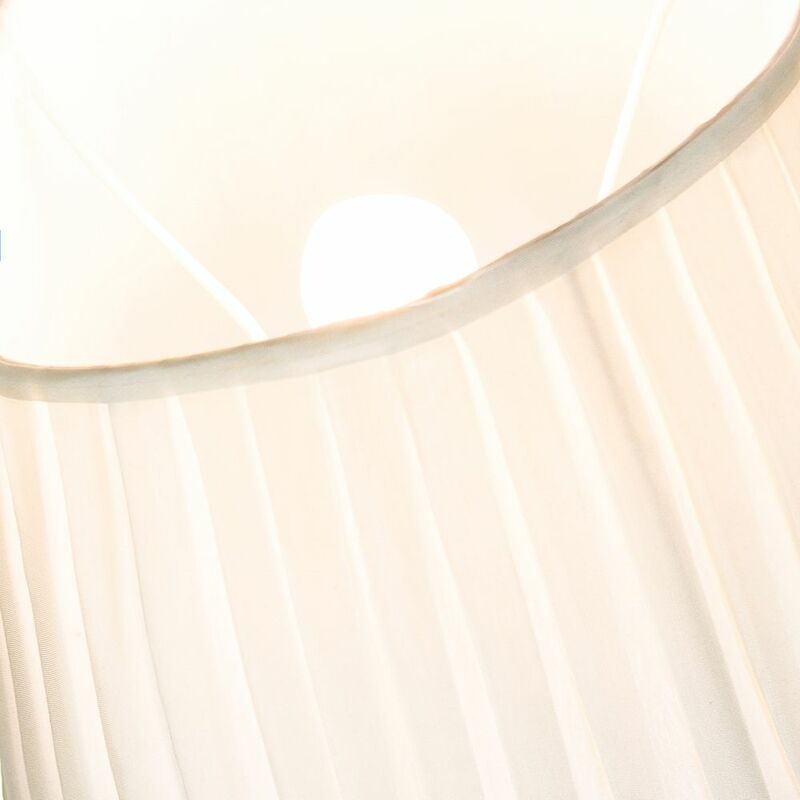 Made of cream faux-silk on the outside and features inner lining fabric creating a quality look and feel. The product dimensions are: Height - 22cm, Top diameter - 27cm, Bottom diameter - 35cm. Maximum wattage allowed is 60w. 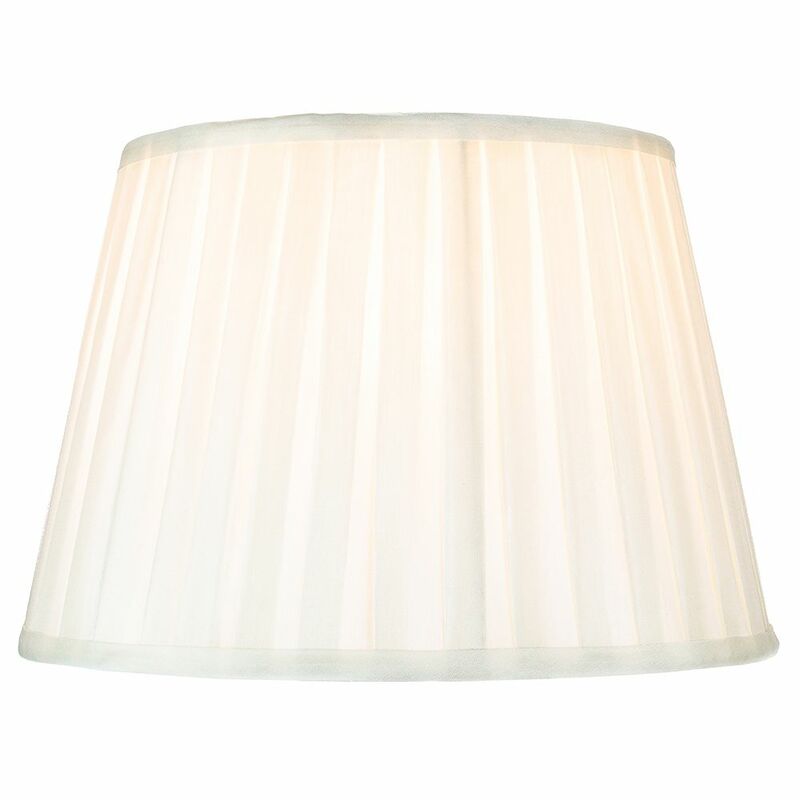 Please note that this shade is designed for table lamp bases only - not suitable for ceiling pendant roses.